Not one, but TWO cars that are almost laughable on their own, but are head shakingly sad when you slap the stars and bars on the roof. 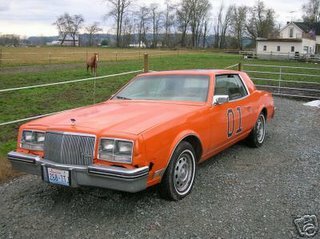 I like the dodge charger as much as any red-blooded American male, and I can see how having a charger decked out in General Lee colors would be fun, but c'mon guys!! The wierdest thing, is that if I can run onto two of these cars while casually looking at e-bay, this can't be just an isolated thing. 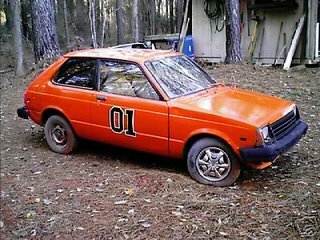 I don't care how much you like the dukes, save some face and go get a dull paint job guys.